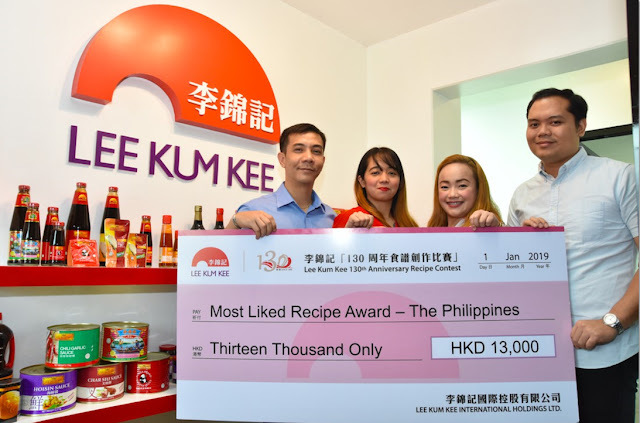 In celebration of its 130th Anniversary, “Lee Kum Kee 130th Anniversary Recipe Contest” was launched in 2018 globally to look for the best recipe created with Lee Kum Kee sauces and condiments. The competition received close to 500 entries worldwide, of which 50 came from the Philippines (https://130.lkk.com/winner-announcement/). On January 22, 2019, a Prize Presentation Ceremony was held to award the country’s two regional winners.